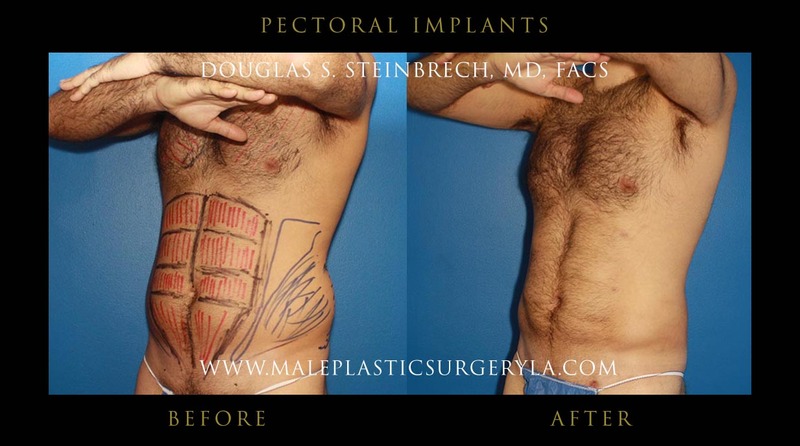 Pectoral implants began as a way to enhance the figure of body builders who could not develop their chest muscles with regular exercise-yet they desire a muscular and full look. 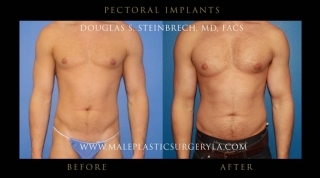 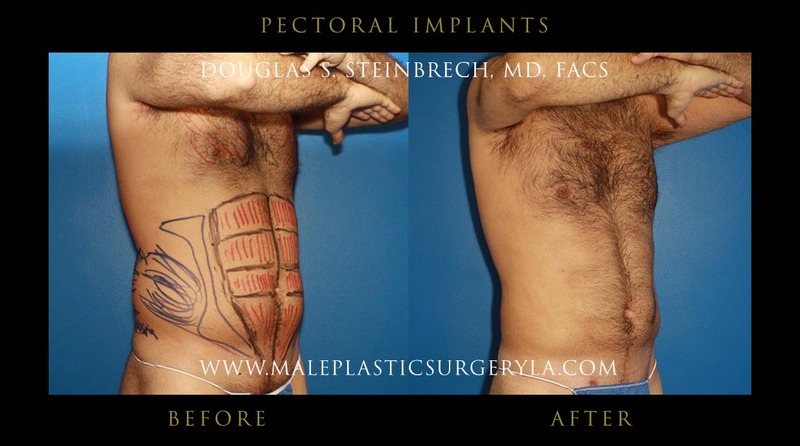 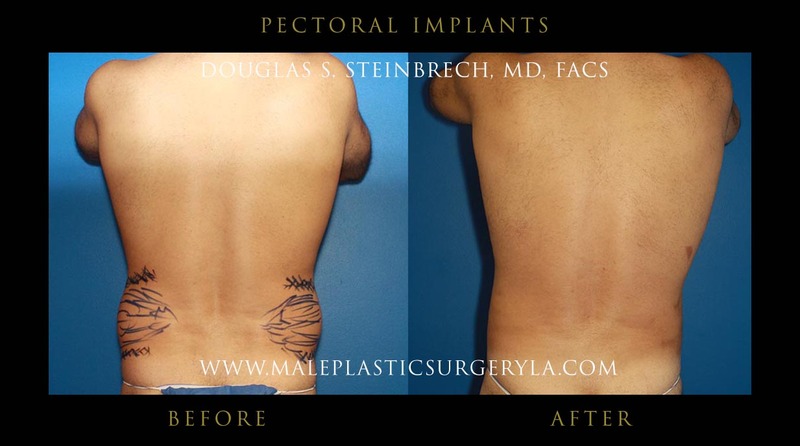 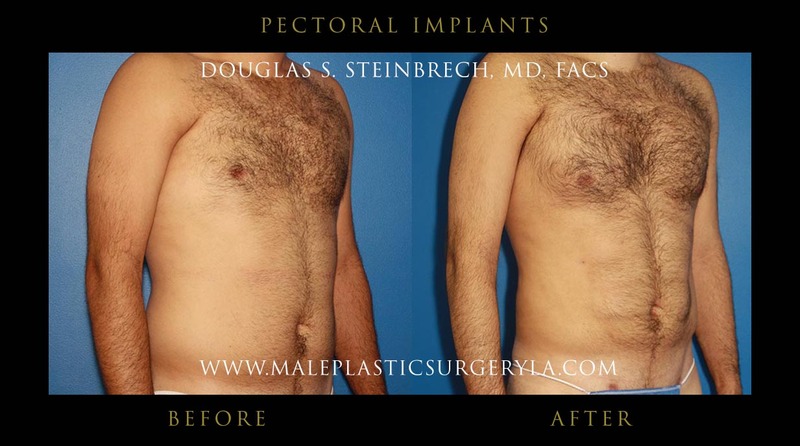 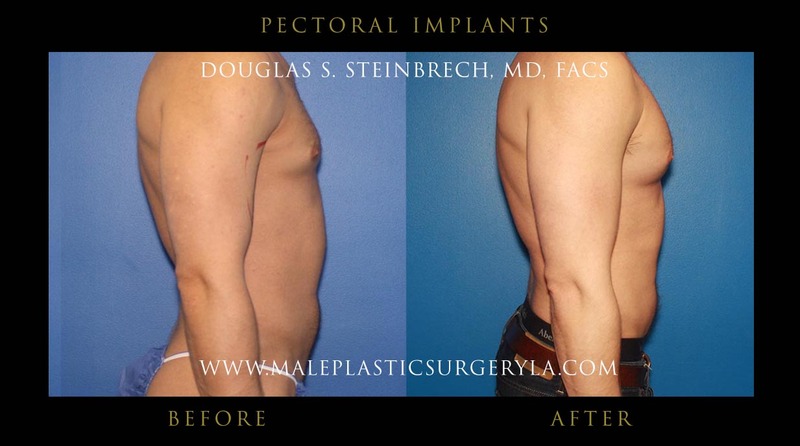 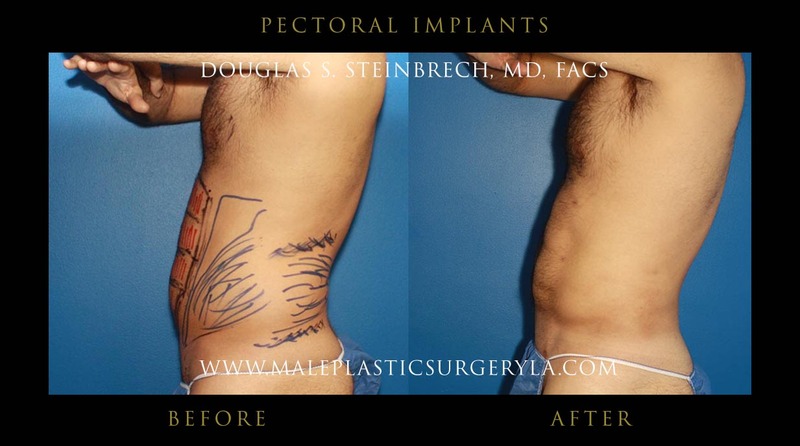 Dr. Douglas Steinbrech specializes in pectoral implants for men in Los Angeles, CA. 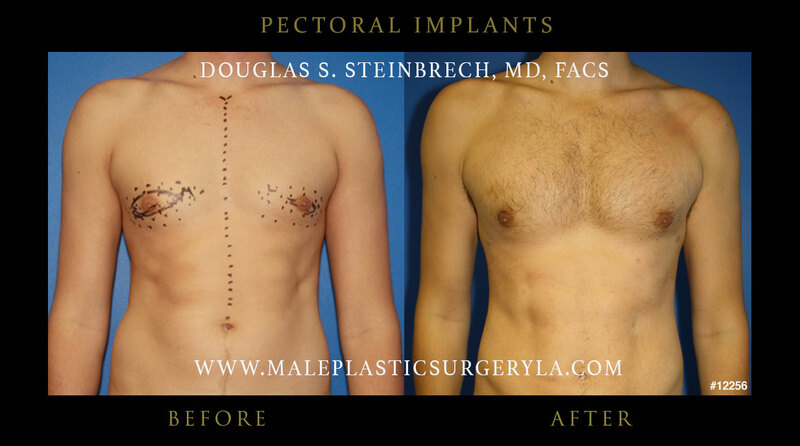 Today, pectoral implants are the popular solution for thousands of men seeking to look their best and enhance their chest appearance to look more muscular. 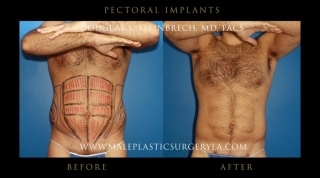 A tight, muscular look that is in balance with the rest of the body will produce the perfect chest for each individual. 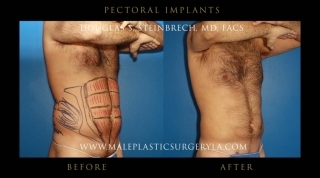 Pec implants by Dr. Steinbrech, offers sculpted and muscular-looking contour to the male chest. View before and after pectoral implants pictures. 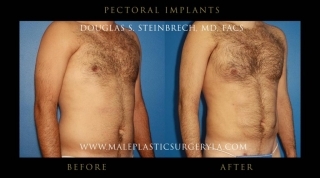 Pectoral implants can benefit men in the Los Angeles who are unhappy with their lack of muscle definition. 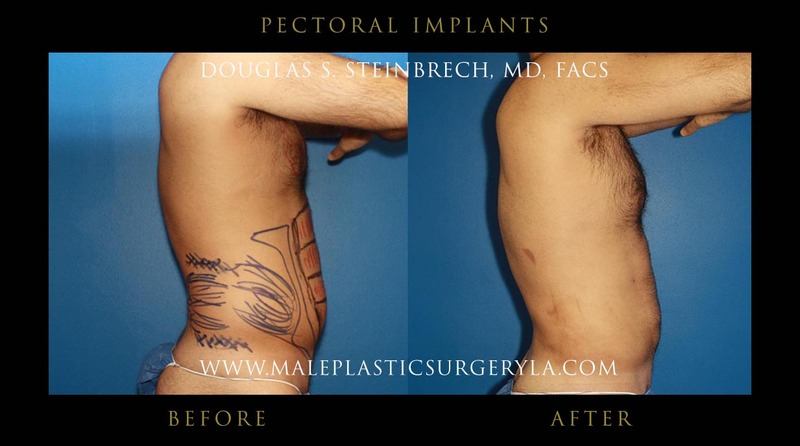 Other patients seek correction of a pectoral muscle that is underdeveloped because of a birth defect or physical trauma. Many Dr. Steinbrech’s patients report an increased sense of self-confidence after getting a pec implants procedure. Pec implants procedure requires general anesthesia and implants are inserted with a small incision in the armpit. 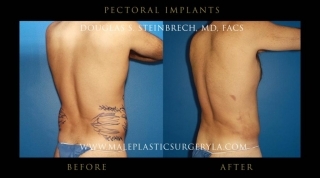 The implants are kept in place by the pectoralis muscle. The muscle function itself is not hindered, allowing patients the ability to continue exercise after healing. Unlike the implants for females, male implants are not filled and feel firm to the touch. For men with too little muscle definition, fat transfer from other areas of the body will be used to enhance the pectoral muscles. 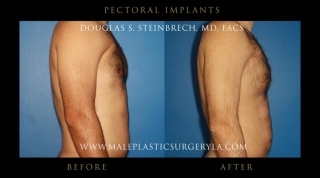 The fat transfer process puts extra tissue beneath, in, and above the pectoralis muscle. 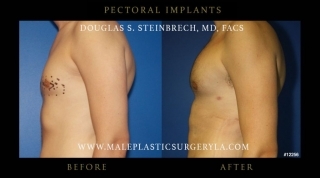 Enhancement with VASER is done completely without man-made silicone implants, which can cause complications and feel unnatural. 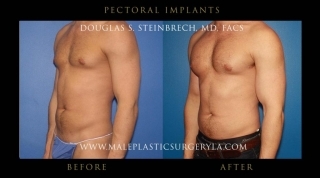 Male patients in LA can expect soreness for a few days after their pectoral implants surgery. Full activity (such as strenuous exercise) is restricted for up to six weeks, however normal activity can be resumed after as little time as 1 week. For more information about pectoral implants for men in Los Angeles, CA, please fill out the contact form to set up your no-obligation consultation today. 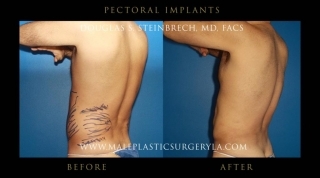 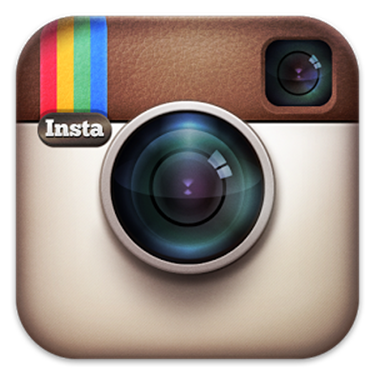 Dr. Steinbrech’s office is conveniently located near 436 N Bedford Dr., Beverly Hills, CA 90210.